We have a programme of ongoing engagement work with our Foundation Trust members and the public. We believe that using our membership gives us the opportunity to test ideas and design services around the needs of our community. 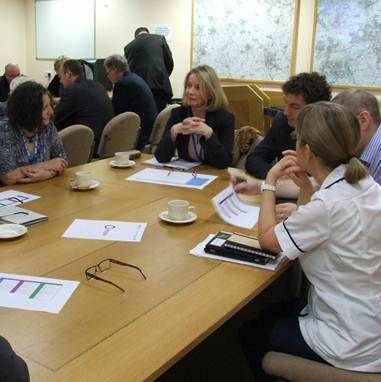 Our governor led engagement group is responsible for developing our engagement work in this area which has been showcased as best practice with the Foundation Trust Governors Association (FTGA). We specifically target members who have expressed an interest in being active members of the trust with opportunities to work with us - but our surveys and focus group work are also available to the public through our website, events work and social media. Annual plan membership survey - We have a programme of membership survey work. In January/February each year we carry out our annual plan membership survey. This allows members to comment on the ideas and service developments that we intend to look at in the next financial year. The survey is carried out on behalf of our governors. The survey is also open to the public and the results from the survey are fed back to the governors so that suggestions can be made to our annual plan that is submitted to the independent regulator of NHS Foundation Trusts - Monitor. It helps us understand what your priorities are. Specific survey work - Each year we work with our governors to focus on improving services in specific areas of the trust as well. We carry our surveys looking at specific topics. Our most recent surveys were about discharge from hospitals and the services and support we provide to carers. Following on from the annual survey, we hold focus groups with small groups of members each year to explore particular topics in more detail. These topics are identified from the responses to the annual plan survey work. We ask for volunteers from the membership (and public) and stage informal focus groups to discuss people's experiences and ideas in more detail. These focus groups then lead to action plans, formulating strategies or further survey work with the wider membership.